Future X-ray technicians have found a new collegiate identity now that California University of Pennsylvania has assumed operations of the former Washington Health System School of Radiologic Technology. The program – now known as the California University of Pennsylvania Radiography Program at Washington Health System – continues to prepare skilled radiologic technologists for careers in the booming healthcare sector. These patient-focused healthcare professionals also are known as radiographers or X-ray technicians. Students in the Cal U radiography program take classes and learn diagnostic imaging skills at Washington Hospital, in Washington, Pa., and gain hands-on experience at WHS facilities and other clinical locations. Those who successfully complete the two-year, 86-credit program earn an associate degree from Cal U.
Cal U has formed an educational alliance with the Ohio Valley Hospital School of Nursing (OVHSON) in Kennedy Township, Pa. Under the new agreement, Cal U will provide top quality online coursework for nursing students who represent the future of healthcare in the region. Cal U will offer students in the OVHSON nursing diploma program as many as 30 credits of non-degree coursework, entirely online. 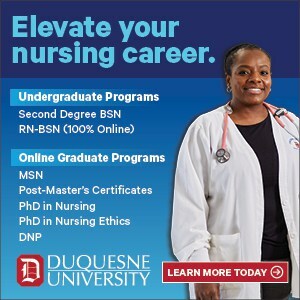 Nursing students will complete their science and general education requirements through Cal U’s online learning management system, while continuing their hands-on training in practical nursing skills at Ohio Valley Hospital. 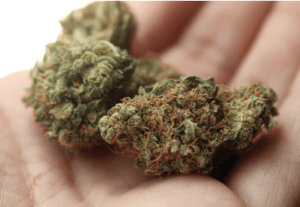 Medical marijuana is a trending term in 2017 with many states legalizing the plant for recreational and medical purposes, it wasn’t long ago that even the thought of a marijuana user carried connotations of drug abuse and addiction. Now we’re starting to understand the many benefits of this wonderful plant and integrate it into our established medical fields. Marijuana has proven benefits such as pain relief, decreased anxiety, and the ability to stop epileptic seizures and enhance appetite. 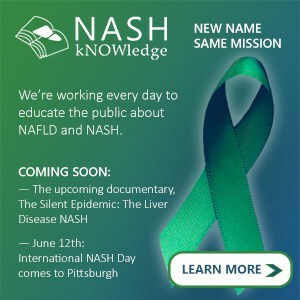 It’s even been proven to stop the spread of cancers! This is just a short list on the many uses of marijuana. Let’s take a look at some of the studies that have been going on in 2017. La Roche College now offers a Clinical Nurse Leader (CNL) concentration to prepare master’s degree students for advanced practice roles in all health care delivery settings. Offered as part of La Roche’s online MSN program, the concentration provides the skills that students need to manage and coordinate comprehensive client care. Students will fulfill 42 credits online, along with 400 mandated hours of practicum in a health care setting. Upon successful completion of the program, students will be eligible to sit for the CNL Certification Exam offered by the Commission on Nurse Certification. “The Clinical Nurse Leader program offers an advanced degree for nurses who want to stay practice-focused and contribute to the clinical leadership role,” Terri Liberto, Ph.D., RN, chair of the La Roche Nursing Department, said. 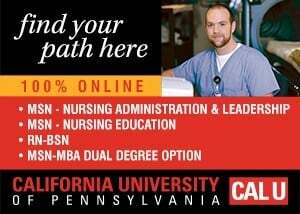 California University of Pennsylvania is pleased to announce a new Master of Science in Nursing program in Nursing Education and is accepting candidates for a first cohort beginning in August. In addition, a new Post-Master’s Certificate in Nursing Education will be offered beginning January 2018.